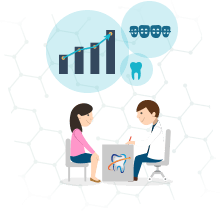 Dentists choose Dental Insider to help manage their online reputation, accurately represent their practice, and connect with patients in search of quality care. Dental Insider is the largest directory of dentists in the country. We specialize in maximizing online exposure through advanced web and mobile analytics so you can grow your practice. It’s important to ensure your account is updated with accurate office hours, accepted insurance, and types of dental services offered to make it easy for potential patients to connect with you. 70% of dental patients said online reviews influenced their decision when searching for their next dental professional. Dental Insider makes it easy by compiling online reviews from trusted sources across the Internet in one place and verifying their authenticity. The average Featured Dentist has an increase of four times more page views in the first month. 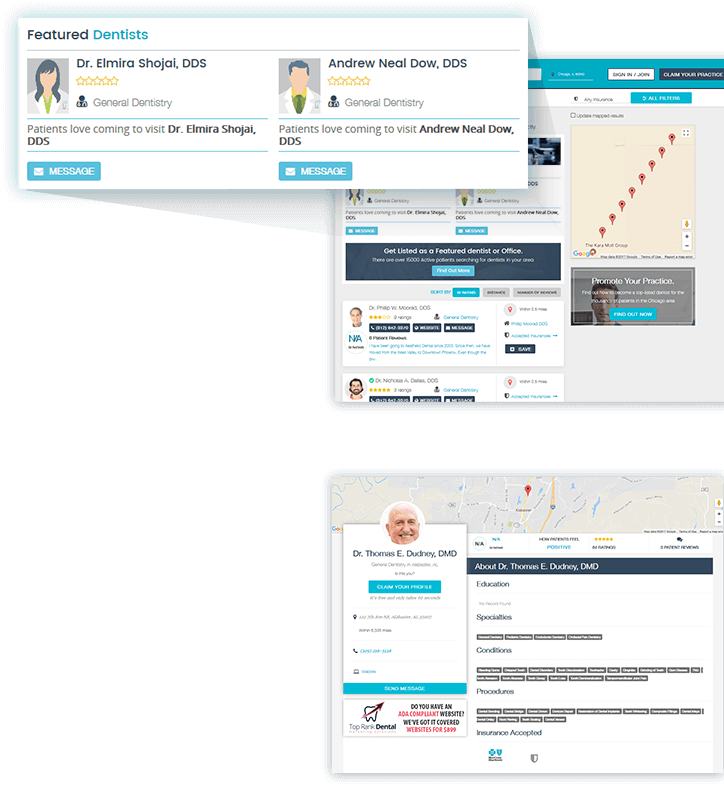 Featured Dentists will be listed on the top of every search page in their target area, which includes being listed on other local dentists' pages. 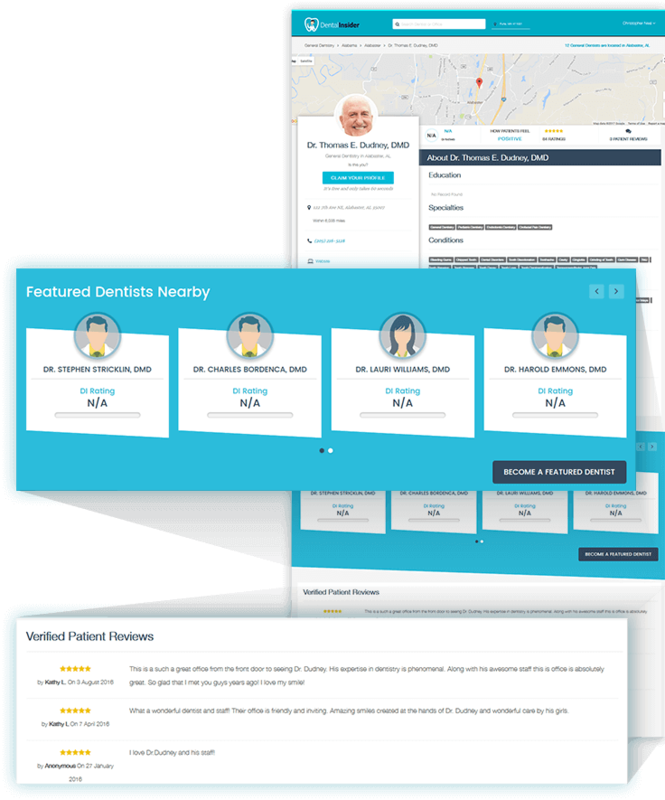 All Featured Dentists will be assigned a Customer Success Manager to maximize your online presence, helping you grow your practice even faster.